The creative minds at Detunized are back with Blackbird, another free Live Pack. 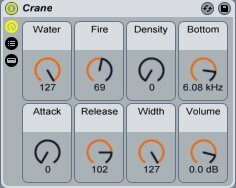 Starting with short, chirp-like samples, the granular-style effects chains of Blackbird can be sculpted into buzzing, whirring and cascading instruments. With an installation size of 1.1 MB, Blackbird has a small footprint with a large range of sound possibilities.